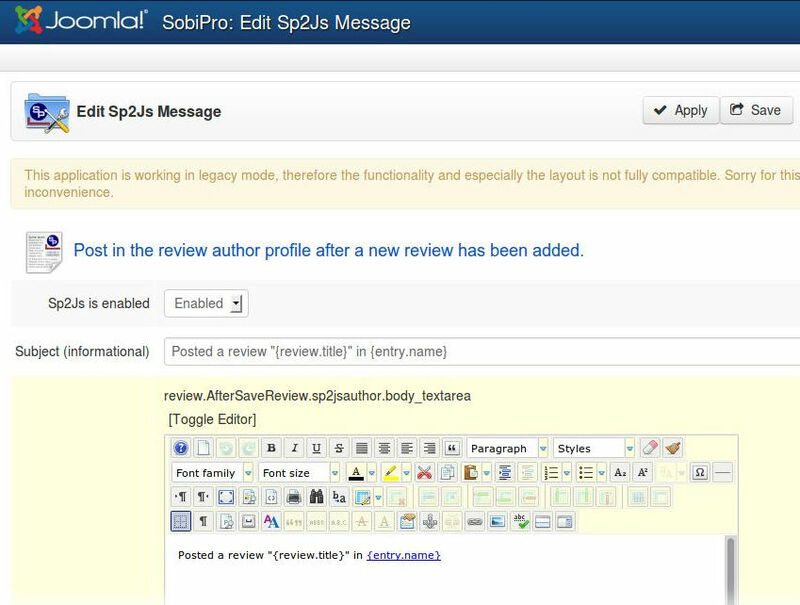 Publish the updates from SobiPro component to JomSocial timeline! 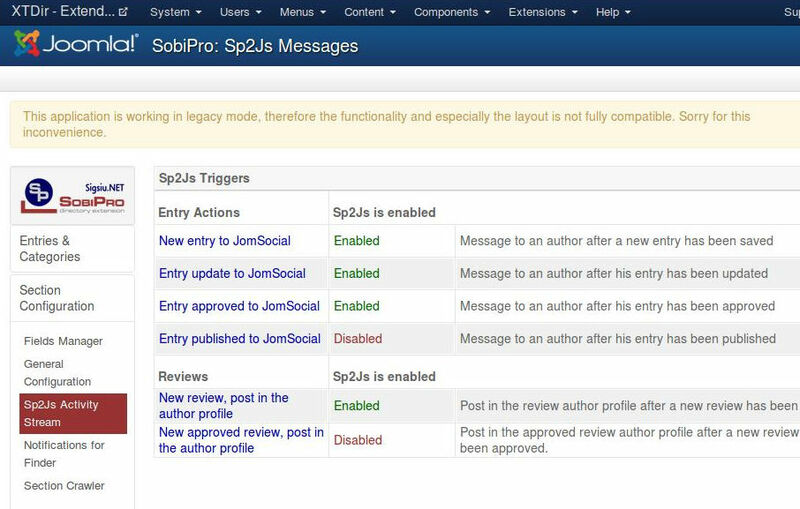 "SobiPro Activity Stream provides an easy way to publish SobiPro activities to JomSocial Wall"
It's SobiPro application to integrate both components. SobiPro Activity Stream for JomSocial is now included in XTDir for JomSocial. To build a JomSocial Business Pages Directory, SobiPro is our leading component. SobiPro is a powerful directory extension. It is designed to easily create multiple directories or content types. SobiPro Activity Stream is based on Sigsiu's Notifications (*). 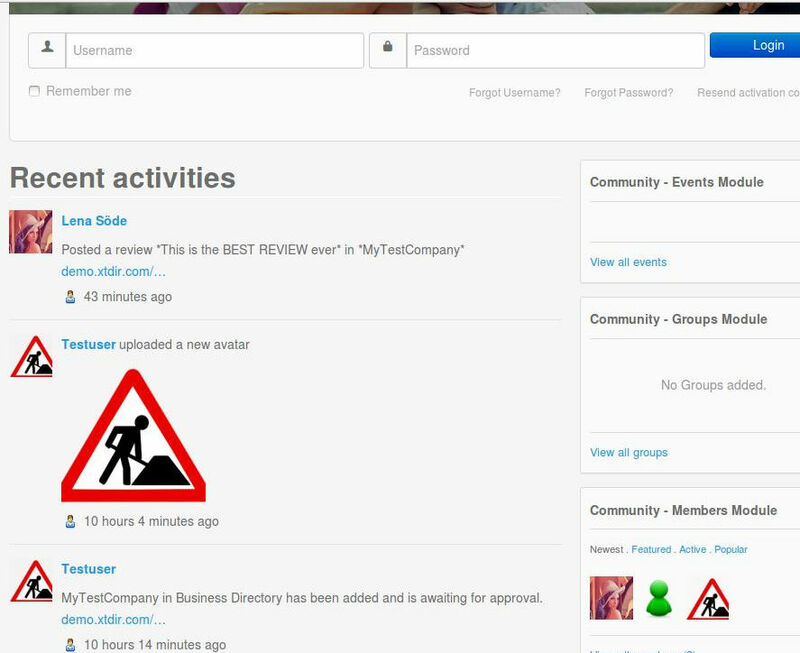 It has the same flexibility, but integrated with JomSocial Activity Stream, and also Review and Rating (*). * It requires Sigsiu's apps. Please, check it here in the demo site, where you can find the classic SobiPro business directory.